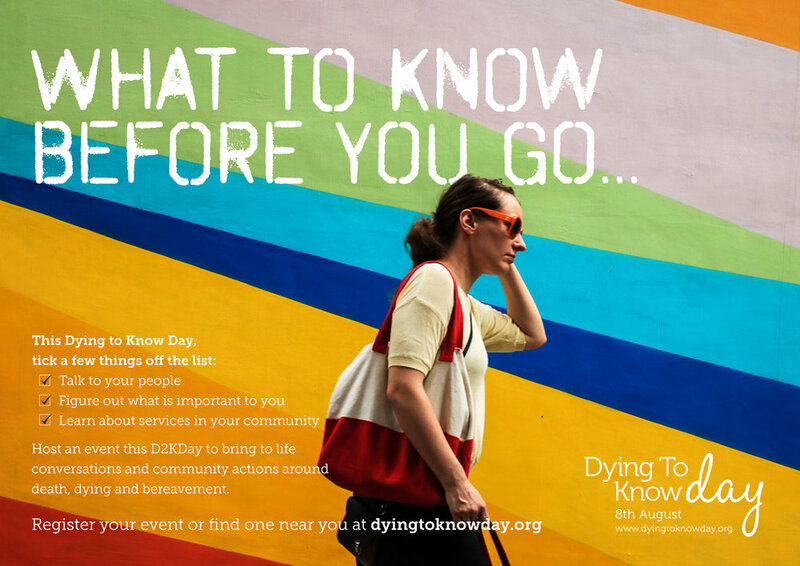 This is where you will find a range of resources to help you make your D2KDay event as successful as possible. From free promotional collateral to books you can purchase and creative conversation starters, even teabags! We have developed a wide bank of resources that aim to support your event. Please Note: Orders must be placed by JULY 28th. FREE Downloads - Download and print for your event! Dying to talk teabag holders in Green, Purple and Orange (See instructions for printing and construction below).